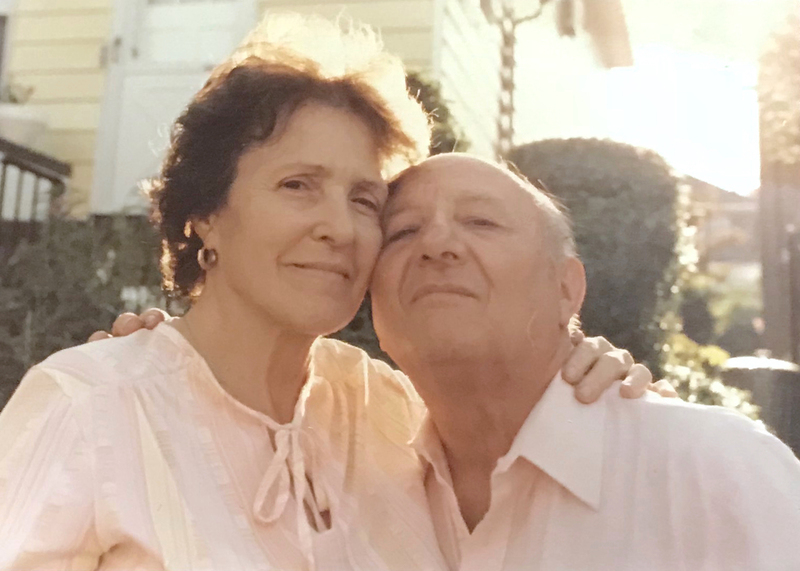 Now that it’s Spring, I often think of my mom’s parents, Rose & Tony Giachello. Grandma’s favorite holiday was Easter and we spent every one with them until they were gone so it’s always so connected for me. 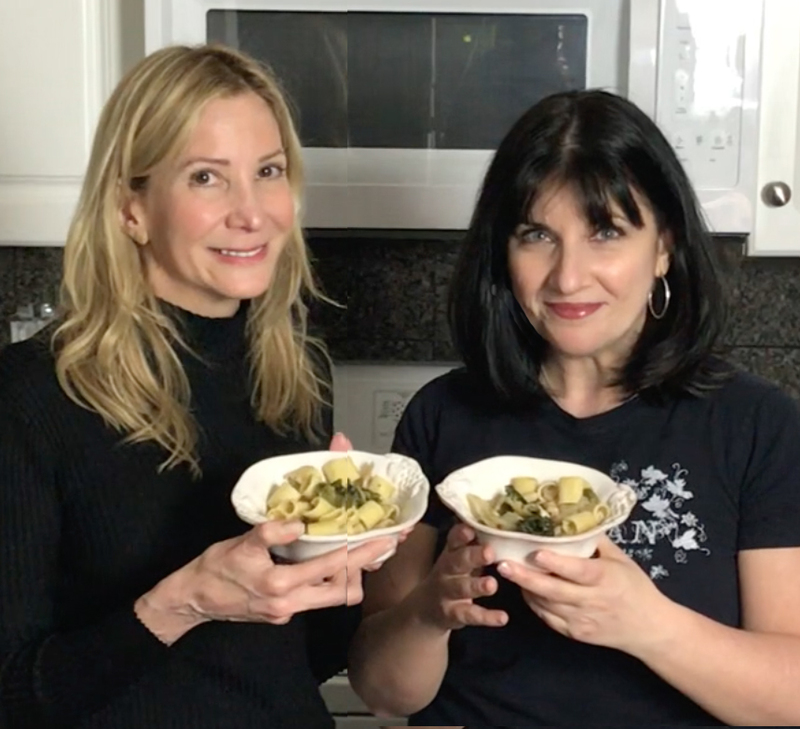 I was chatting with my cousin Lisa Lombardi, who suggested we cook one of their most common dishes, Escarole and Beans. Grandpa always made this for Grandma. They were the greatest couple. The love between them was undeniable. They had 5 daughters, all beautiful and strong. Grandpa was totally outnumbered but wouldn’t have had it any other way. 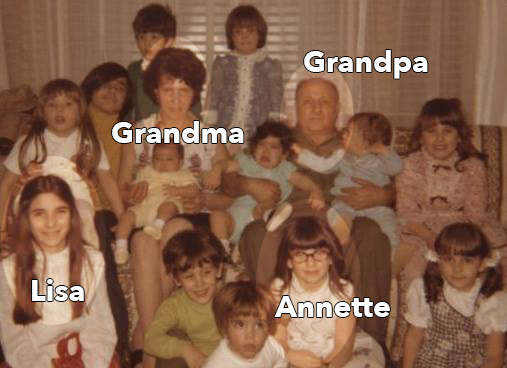 As one of their 13 grandchildren, it always felt special going to their house. Sleepovers were the best! In a time when kids were seen and not heard, our grandparents sincerely wanted to know what we thought, what we were interested in, and treated us like “people”. My favorite thing was opening a drawer in the bathroom where there were 13 toothbrushes for when any of us stayed over. This little gesture was EVERYTHING. It said “welcome”, “you have a home here”, and “we love you”. 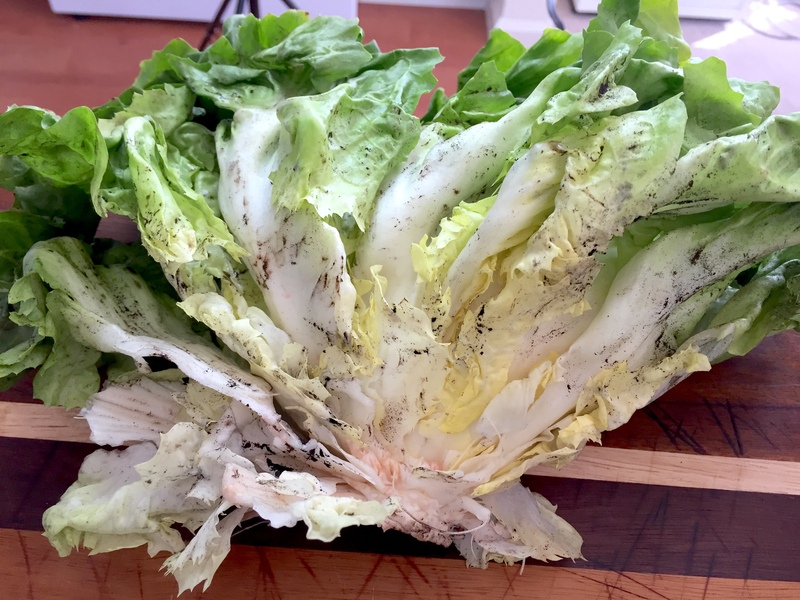 Now UNRELATED to them, and to explain why you MUST wash the escarole very well, I will share a story about escarole.that only those who know me BEST know. I was about 8 years old when my mom sent me with my 6 yr old sister Vini to the vegetable store to buy a head of escarole. She emphasized that I was to tell the man at the store to shake it out well – escarole is notoriously sandy/dirty. This was in the Bronx. We had to go to the corner, wait for the light to cross the street and then cross to the next block “up the Avenue” (Morris Park Avenue to be exact). On the next corner were 2 vegetable stores side-by-side. She sent us to the “small one”. This was a narrow store with shelves of fruits and vegetables lining either side. Old-fashioned scales hung on both sides and about 4 men darted in and out of the back room, grabbing bags and filling orders for the waiting bunch of mostly old Italian women barking out their orders. Walking in I was quite intimidated, having not been there without my mom before. The man came over and said abruptly “what do you need” in his Italian accent. I blurted out “one head of escarole” and he was off. Vini whispered “don’t forget to tell him to shake it out” to which I replied as all good big sisters do, “shut up!”. The man came back with the escarole already in a bag, weighed, asking for the money. I paid and we left. We got home, I gave my mother the bag and change and went inside. Not 5 minutes later came a loud “Annette!!!!!! !” so off to the kitchen I ran. In a very exasperated way, she asked if I’d asked the man to shake it out. I responded “yes”, afraid to be in trouble. That rotten little sister ran in and chimed “she’s lying – she didn’t ask” which infuriated my mother for good reason. She asked why I lied and that’s when I shared not only the truth of the particular situation but a little entryway to my little mind, crying by this time. “I’m just a kid! Who am I to tell a man how to do his job?” You see, as gregarious as I seemed (or seem to this day) it’s just hiding my basic shy personality. I really thought it was disrespectful for me to dare to remind an adult how to do a simple job and embarrass him. Through the years, I have had “escarole moments” where I just couldn’t bring myself to say or do certain things out of being totally mortified, feeling inadequate or insecure, or fearing I sound too “braggy” or too full of myself. 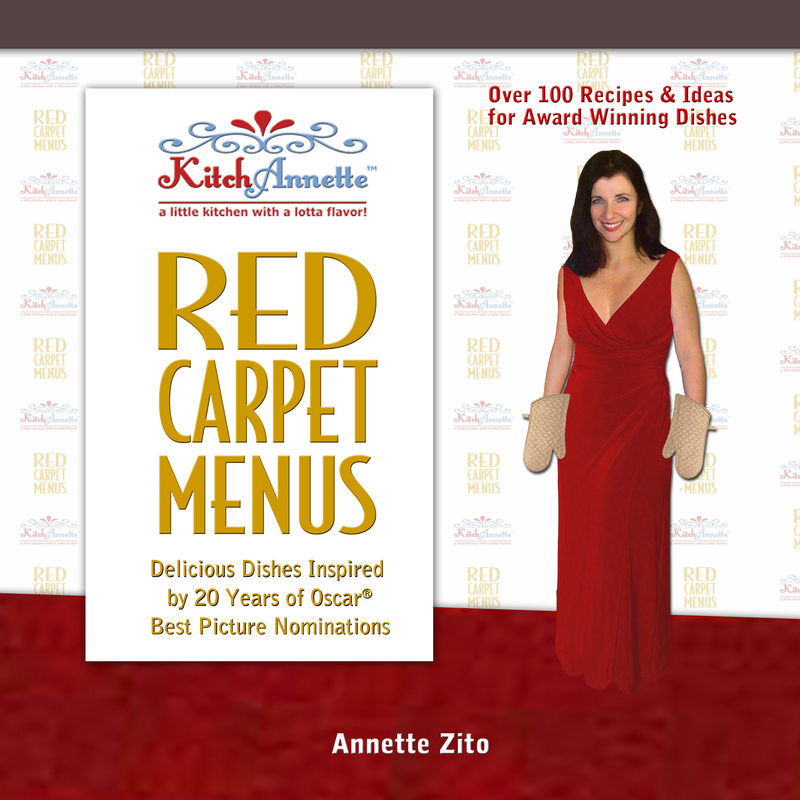 Creating KitchAnnette is a reminder that I often overcome and transcend “escarole”! Many of my dearest friends understand and employ “‘scarole” to explain situations they have found themselves in where they didn’t step forward for themselves out of some level of shyness or fear. And now you know all about it. And in tying it back to Rose & Tony, in their home and with them, I never FELT ‘scarole but I certainly did ENJOY ‘scarole! And you will too! PS: I’d love it if you shared your ‘scarole moments! Write them to #escarolemoment to @kitchannette on Twitter and Instagram or at our Facebook page. In a skillet over medium heat, add olive oil and cook garlic until it becomes translucent. 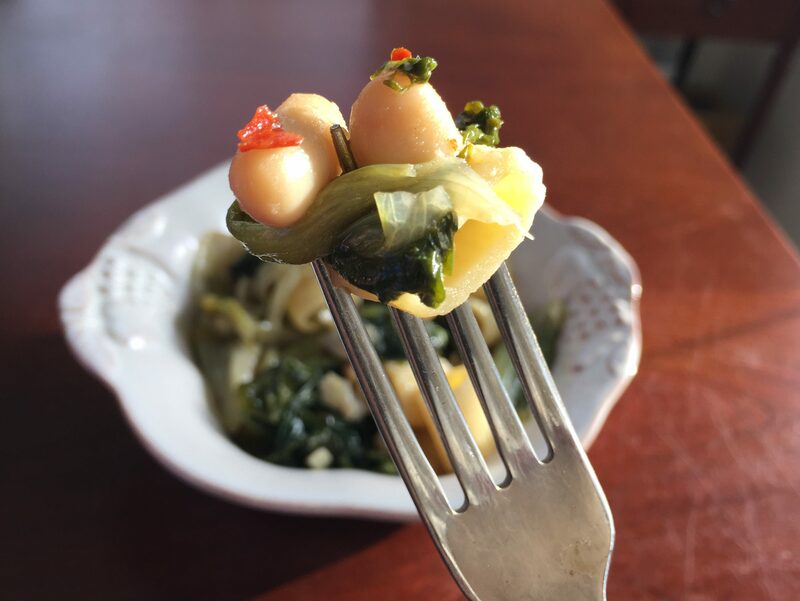 Mix in beans and escarole. Stir in red pepper flakes, salt & pepper. Cook for about 10 minutes. Make pasta according to package instructions. 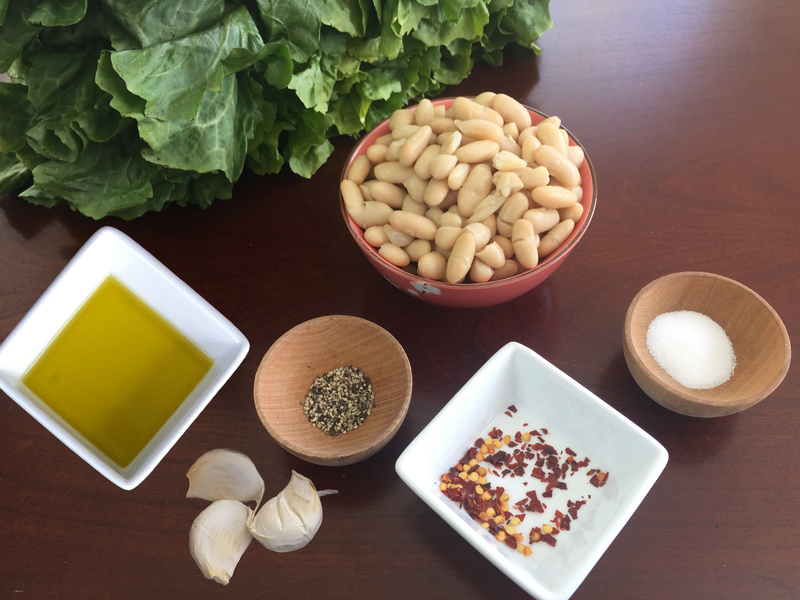 Add some pasta water to the escarole & beans as needed. Drain pasta and put back in the pot. 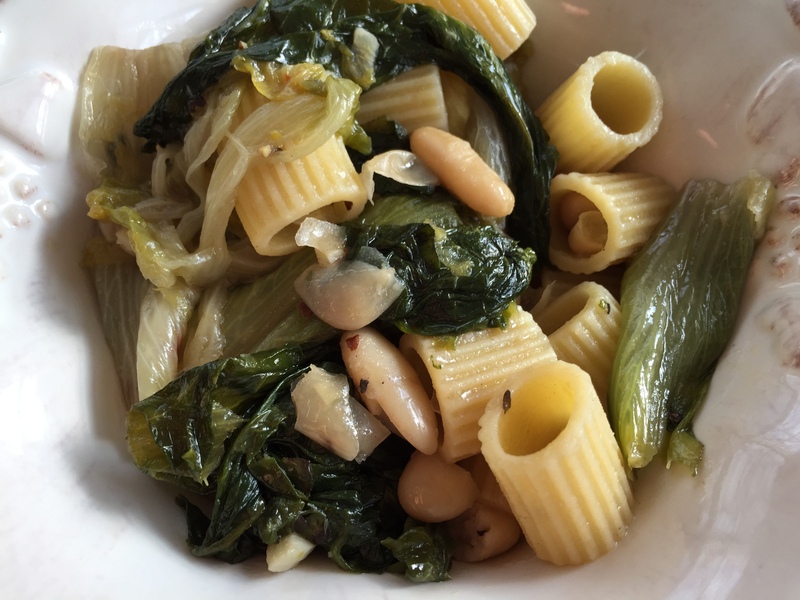 Combine escarole & beans with pasta. Enjoy! You can also forgo the pasta and make soup... cook in the skillet as above then pour it into a pot with chicken or vegetable broth/stock. Bring up to a boil then down to a simmer. Ready to serve! « Bedevil and Bedazzle! Deviled Eggs!